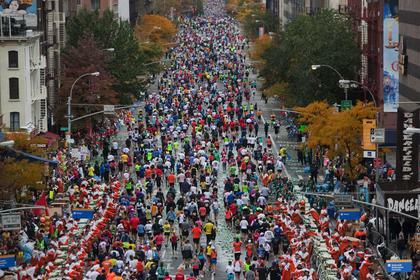 The New York City Marathon began humbly in 1970, with 127 participants running laps around Park Drive in Central Park. On that day a total of only 55 runners crossed the finish line – Gary Muhrcke was the winner with a time of 2:31:38. 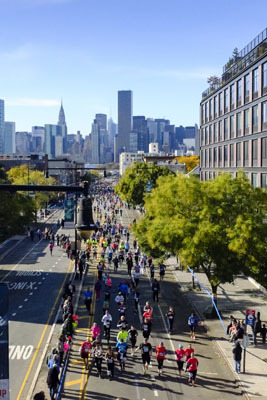 In 1976 city auditor George Spitz conceived an idea for a five borough Marathon tracking from Staten Island through the outer boroughs and ending in Central Park. 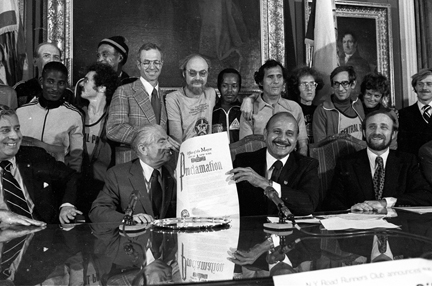 With the backing of Manhattan Borough President Percy Sutton they managed to convince Mayor Abraham Beame and race director Fred Lebow. In the end, the race was a huge success. 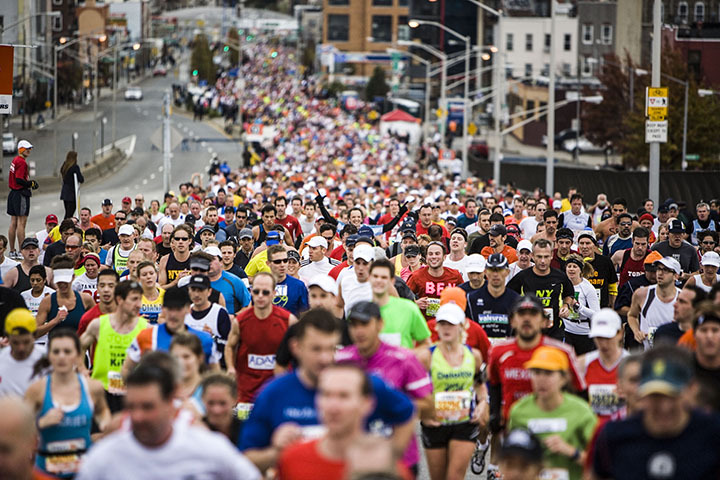 Without looking back the New York Marathon grew into the world’s largest marathon. 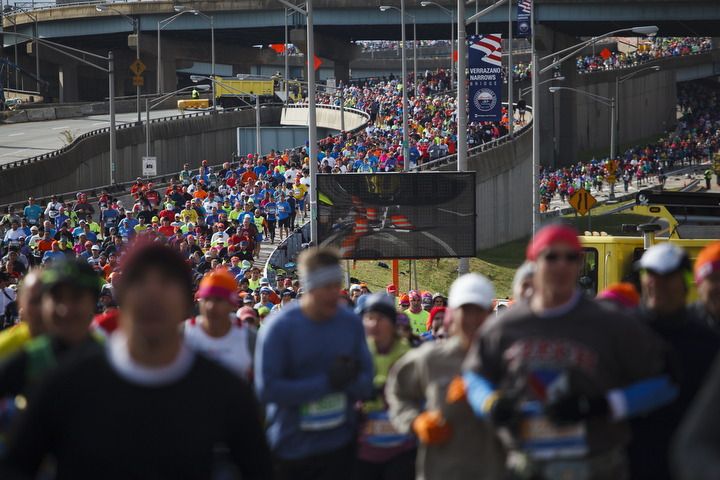 Today the Marathon has more than 50,000 entrants from around the globe and more than one million fans lining the city’s streets from Staten Island to the Bronx. 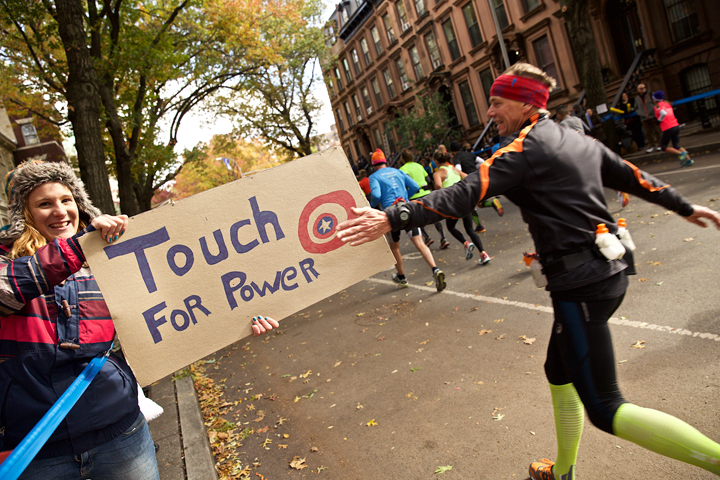 The marathon garners global attention, not only as a test of athletic endurance, but also as an inspiring example of civic pride and community spirit. 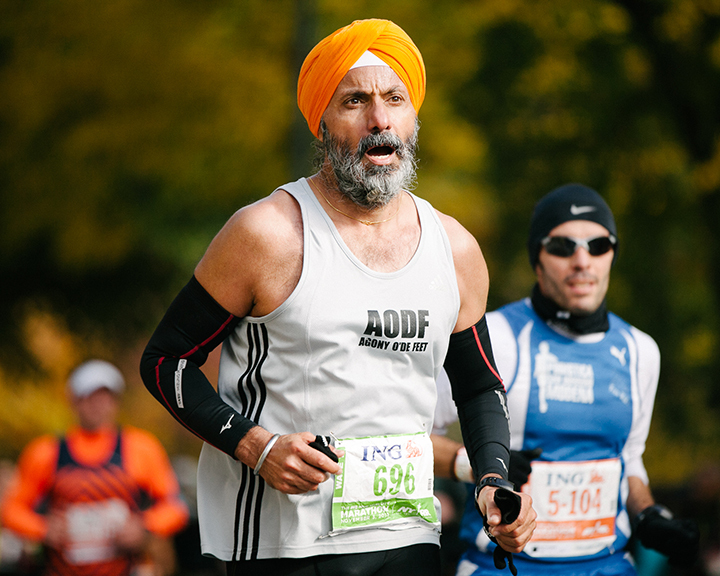 On October 20, 2015 the City Museum opens The New York City Marathon: The Great Race, an exhibition that explores the history of this road running institution and features photographs by both amateur and professional photographers who responded to a call for images that would reflect the diverse facets of the marathon. 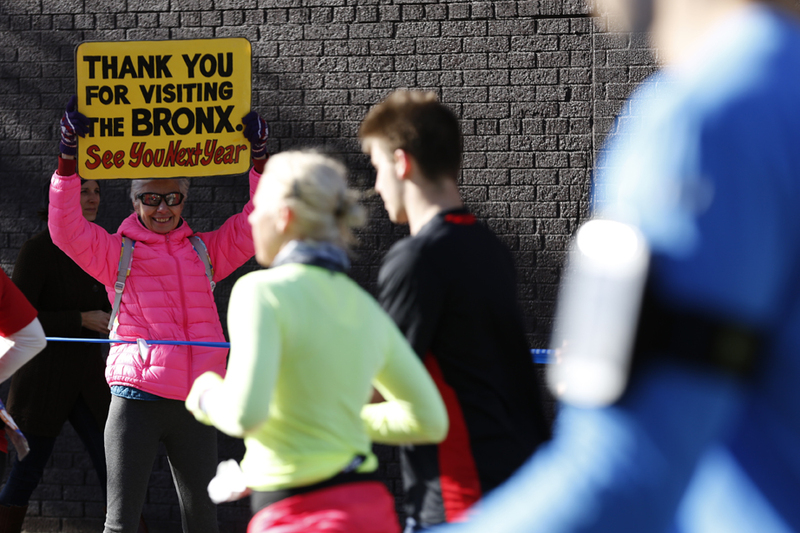 Throughout the spring and summer of 2015 the Museum received several thousand entries from professionals who have covered the Marathon for media outlets as well as amateurs who have participated in the race, cheered on a friend or loved one, or simply admired the event. After an arduous process, a jury selected 120 photographs, which will be hung in a manner that mirrors the route through the city. 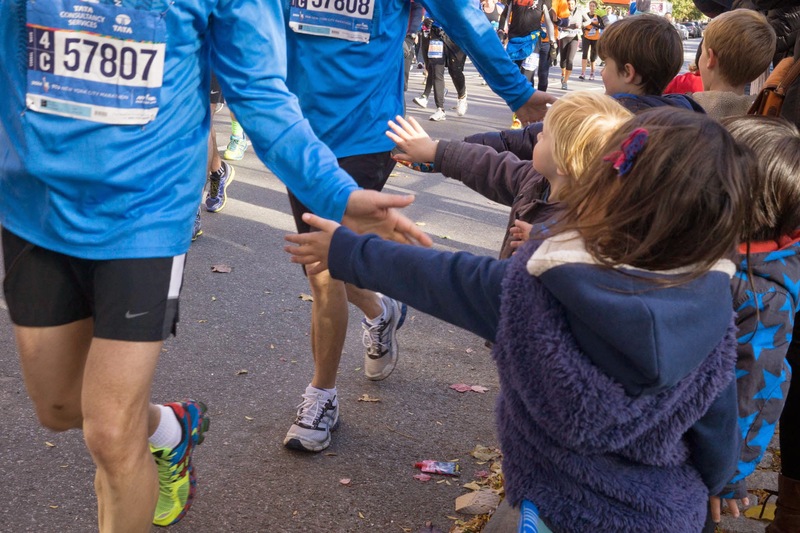 The following images are a sneak peek of some of the contemporary photographs that collectively capture the experience of “Marathon Sunday” in the city and will be on view at the City Museum beginning October 20, 2015. 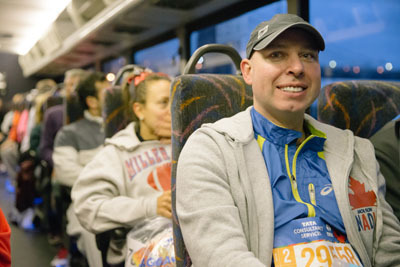 Just getting to the Marathon starting location in Staten Island and waiting for the start is an experience. The first two miles could be considered the most breathtakingly photogenic as the runners leave Staten Island and cross the Verrazano Bridge. Through the cheering throngs of Brooklyn…..
Up first Avenue and into the Bronx…. And finally to the home stretch! 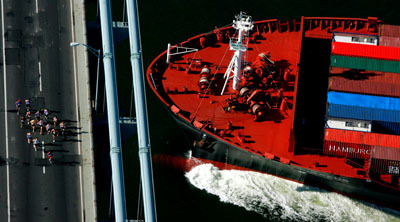 This entry was posted on October 6, 2015 by Sean Corcoran in Exhibitions and tagged exhibitions, Marathon, Photography.